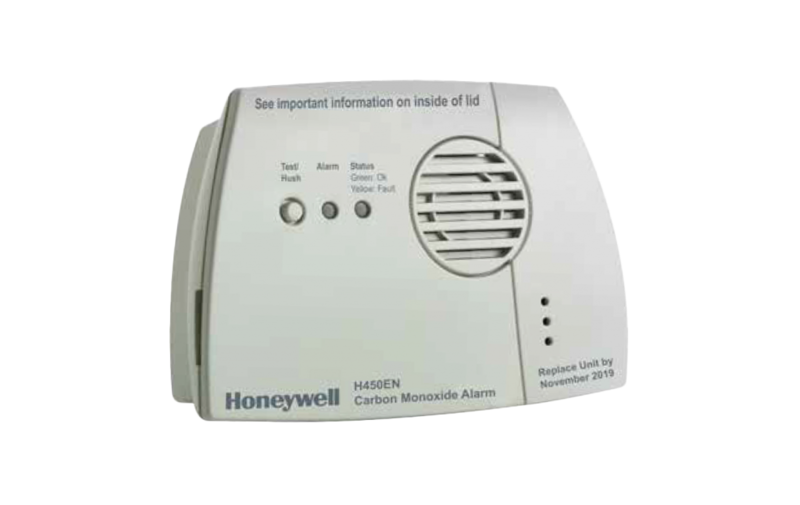 The h450EN is an easy to use and reliable self-contained Carbon Monoxide alarm. Designed for use in all domestic environments such as homes, static caravans and home parks. The latest electrochemical cell technology ensures complete accuracy and reliability giving a 6 year guarantee and up to 7 year life under normal operating conditions. It is officially approved and Kitemarked to the stringent performance requirements of EN50291-1:2010 – the European Standard for domestic Carbon Monoxide alarms. The h450EN is easily attached using the fixing kit provided, with no need for any wiring. No maintenance is required for the full 7 year life of the alarm, with no sensors or any parts to replace. This alarm, including batteries, is guaranteed for 6 years. The batteries are sealed inside the alarm, preventing access by the user and do not require replacement for the whole life of the alarm (up to 7 years). The h450EN is widely regarded as the professional’s choice of Carbon Monoxide alarm and is the chosen unit of numerous major organisations such as gas suppliers, energy companies, local authorities and housing associations etc. The h450EN provides a visual signalling in addition to its audible alarm. It enables the user to clearly distinguish between a dangerous alarm situation, a fault situation like almost empty batteries, and normal operation. This is achieved with the new dual-colour status light, which will flash green to indicate normal operation, and yellow in case of a fault. This also provides a clear end of unit life indication for the unit.